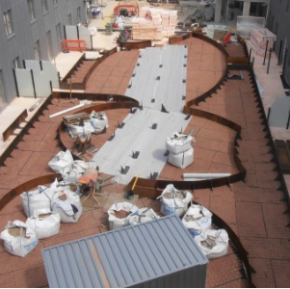 This will offer specifiers a triumvirate of high performance products to help combat the common problems of dirt, mould and bacteria: Clean Extreme Anti-Bacterial Scrubbable Matt, Clean Extreme Stain Resistant Scrubbable Matt and Clean Extreme Mould Inhibiting Scrubbable Matt. The water-based range offers three quick drying and low odour solutions for creating clean and hygienic surfaces. 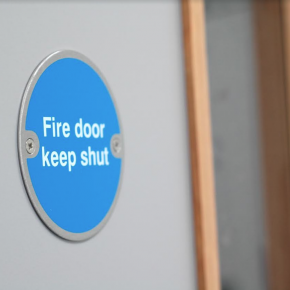 The full Clean Extreme range is also available in a high performance, stain-resistant, durable and washable Acrylic Eggshell mid sheen finish. 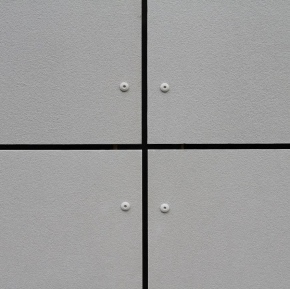 For surfaces that need to be hygienically clean, for example healthcare facilities, Clean Extreme Anti-Bacterial Scrubbable Matt offers a supreme quality anti-bacterial finish, bettered through the use of the independently tested SteriTouch® silver ion technology, which protects against bacteria growth. As well as being stain resistant, Clean Extreme Anti-Bacterial Scrubbable Matt has been specifically formulated to withstand robust cleaning and scrubbing to give further peace of mind. 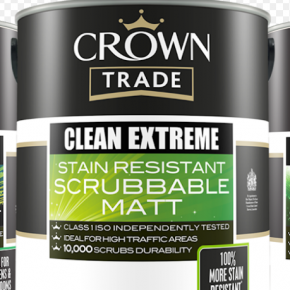 Specifically for helping to minimise maintenance requirements in high traffic areas, Crown Trade’s Clean Extreme Stain Resistant Scrubbable Matt has a phenomenal durability level of 10,000 scrubs. 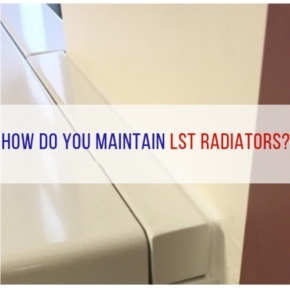 Clean Extreme Stain Resistant Scrubbable Matt has also been independently tested to ISO 11998 Class 1 scrub rating for guaranteed results. Recently chosen as ‘Best Trade Durable Matt in the Market’ by the Decorators Forum – an online hub for thousands of professional painters and decorators across the UK – Clean Extreme offers a high performance, low maintenance finish that is easy to apply. For areas prone to condensation, such as kitchens and bathrooms as well as void properties, Crown Trade’s Clean Extreme Mould Inhibiting Scrubbable Matt can offer long lasting protection against ugly and unhygienic mould. 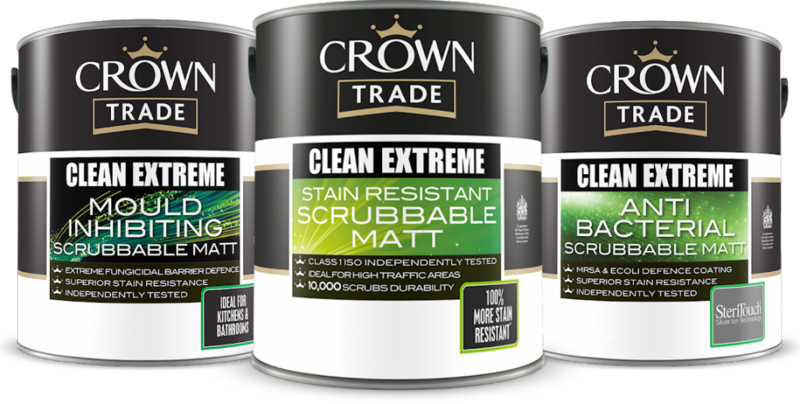 Combining a high opacity matt formulation with a built in fungicide that puts a stop to mould growth on the paint film, unlike other anti-mould paints on the market, Crown Trade’s Clean Extreme Mould Inhibiting Scrubbable Matt is highly resistant to stains and can be repeatedly cleaned and scrubbed without any detriment to the finish. The full Clean Extreme range comes in hundreds of tinted colours to help create stylish and attractive décor schemes that are both colourful and clean.